I came across something while listening to a Bill Johnson message, from Bethel Church, titled Extreme Living (part 2), recorded in 2007, and it so encouraged me, so specifically touched me in areas that I’ve been thinking and praying about, that I thought I’d share them with you. 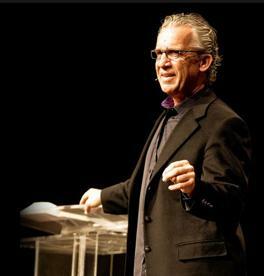 Actually, just about anything Bill Johnson is a supercharge of faith-building vitamins. But I especially appreciated these few paragraphs about how the Spirit speaks to us and we listen. You can tell when someone’s been hearing from God. I mean hearing; I don’t mean reading. I mean hearing. Because they’re alive. I mean really alive. I’ve got bread to eat, and I’ve got seed to sow. That’s my whole life: eating and sowing, sowing and eating. And I love eating. And I love sowing. And that mark of prosperity of soul is the sign that we’ve heard from God. This whole countenance thing, that is sucked up in depression. Y’know. You just… Jesus had more joy than all his companions. Everyone around Him, He exceeded them all. And now that you have the same Spirit of Christ living in you… I have the same Spirit of Christ living in me. It’s the same prosperity of soul. My heart is linked to heaven. There’s an endless supply of life, of word. He just talks. All I’ve got to do is sit down this afternoon and just listen. And it doesn’t have to be word for word. It’s the Spirit Himself who comes upon me. And if I come with, with… See, my job is to recognize when He speaks. His job is to talk. Sometimes it’s off the pages of Scripture. Sometimes it’s somebody else talking. Sometimes it’s the words of a song. Sometimes it’s the language of the Spirit–unusual coincidences. I have stuff happening constantly that is so encouraging to me that would be absolutely stupid to anybody else. I just started reading his book, Strengthen Yourselves in the Lord.